What Is a Firewall? How Does a Firewall Protect My Network? One of the security measures you can take to protect your business's network is to install a firewall. 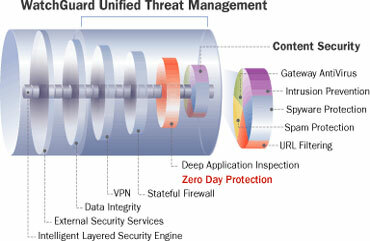 Firewalls are software- or hardware-based security systems that control the traffic that comes and goes on the network. They are essentially a barrier between trusted networks-such as yours-and untrusted or less trusted networks, such as the internet, other companies' networks, etc. A firewall should protect your network while also staying out of the way of productivity. Therefore, it must be properly installed, configured, and tested in order to meet your company's needs. 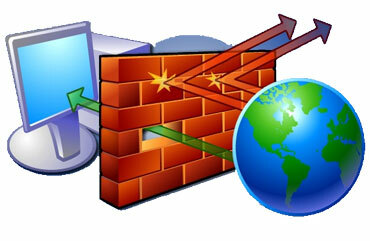 Sentry Global Technologies offers numerous IT services, including firewall installation. Hardware warranty with advance hardware replacement saves you time and money.Having an active LiveSecurity subscription extends the one-year warranty that is included with the purchase of any WatchGuard security appliance. 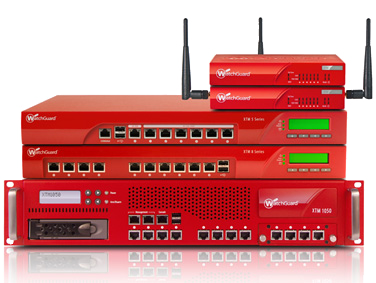 LiveSecurity also provides advance hardware replacement, which means that should there ever be a hardware failure, WatchGuard will ship a replacement via pre-paid, next-day airfreight in advance of receiving the returned appliance to minimize downtime. LiveSecurity gives you ongoing software updates to ensure your security is always working in top form. Receive more than just the standard fixes and minor software patches. LiveSecurity delivers feature enhancements, full-rev updates, and new capabilities as long as your subscription is active. Obtain software updates easily, with no additional cost or paperwork. Simply download updates from the LiveSecurity home page, and your system is up to date. Software: A software-based firewall is a program installed onto a computer that protects the computer from traffic on the network. This is useful if a virus or other threat makes its way onto the network in that it can block it from infecting individual computers. It can also control traffic coming from an individual computer itself, allowing some applications through while blocking others. Hardware: Hardware-based firewalls are located on the network router, thus standing as a barrier between the internet and the entire network. They may not be as precise as a software firewall, but they're still important for protecting the network from hackers and other unwanted traffic from outside the company. In a commercial setting, a hardware-based firewall is absolutely necessary since you have so much sensitive data being transmitted over your network. 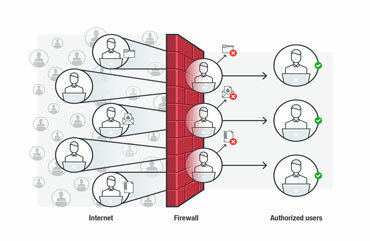 Software-based firewalls can act as a second layer of protection against external threats while also guarding against any malicious or careless actions from inside, such as from an employee's computer terminal.